President Muhammadu Buhari has got his body language performing wonders for him like a magic wand. 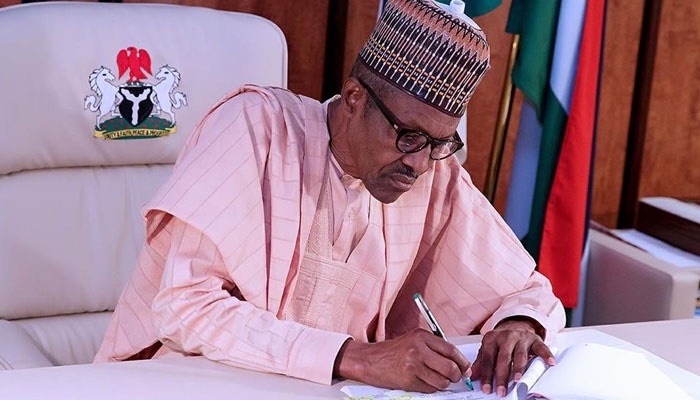 President Muhammadu Buhari may have had a smooth ride with the loan approval request he forwarded to the National Assembly weeks ago. Nigeria needs to revive its infrastructure that has suffered pressure due to poor maintenance culture and corruption in almost all the sectors. The desire is there but the money is not in the government's coffers and President Muhammadu Buhari in the request said the request for the $5.5 billion loan would cater to the needed infrastructure. His request was approved on Tuesday and the House of Representatives on Thursday said its decision to approve the loan request was hinged on a few perceptions. His integrity and body language have again come into play, as the House of Representatives said it approved the 5.5 billion dollars loan request from the executive because "President Muhammadu Buhari is trustworthy and keeps to his words". It was an approval made in spite of the nation’s rising debt profile. In the request, $2.5 billion will fund the 2017 budget and another $3 billion will re-finance the country’s domestic debts. The Chairman of the House Committee on Media and Public Affairs, Abdulrazak Namdas, told reporters that "we approved the loan because we believe that the President is a man of his words and will utilize the funds for the projects earmarked”. According to him, the House, after studying the projects outlined to be executed with the proceeds of loan, realised that they were essential for rapid economic development. Namdas added that the House also realised that the loan proceeds would enhance social development of the country and considering the president’s integrity, they had no option than to approve the loan. "If you have a person that sticks to his words and with President Muhammadu Buhari, we have no doubt that this loan will be put to good use." He also explained that the nation was just recovering from recession and there was need to inject more money into the economy to rejig it adding that the terms and conditions of the loan were favourable and not injurious to the nation. “We just came out of recession and we need to spend money on infrastructure. Borrowing is part of ways to rejig the economy but it is not good to borrow for frivolous items. However, when you borrow to invest, there is nothing wrong about it." The loan has been approved, but several other loans had been approved in the past with nothing to show for most of them. But Namdas assured Nigerians that the House would also step up its oversight function to ensure that the loan was judiciously expended on the projects outlined. Some of the projects to be funded with the loan are the Mambilla Hydropower project, construction of a second runway at the Nnamdi Azikiwe International Airport, counterpart funding for rail projects and the construction of the Bode-Bonny Road, with a bridge across the Opobo Channel. Nigerians will be waiting to see these projects materialise in the coming months.